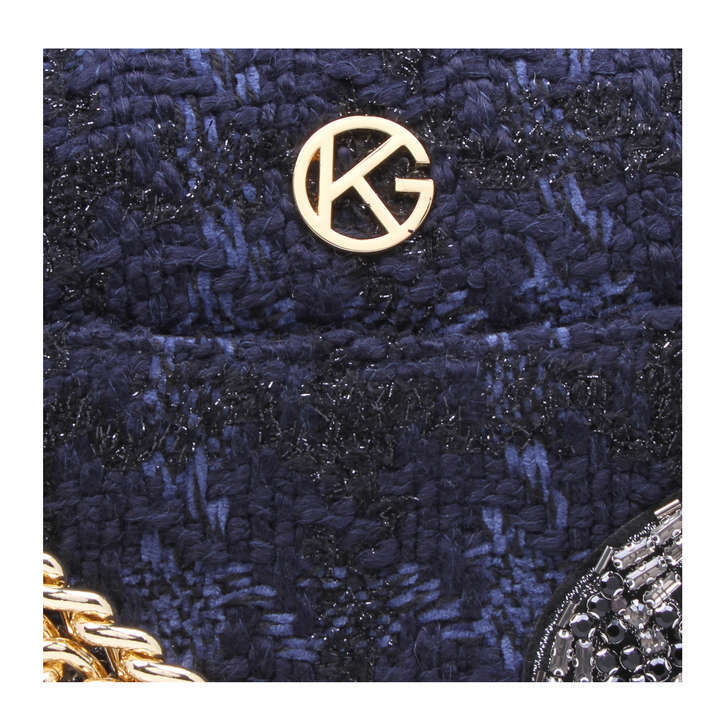 Indulge in a flight of fashion fancy with Kurt Geiger London's latest design. 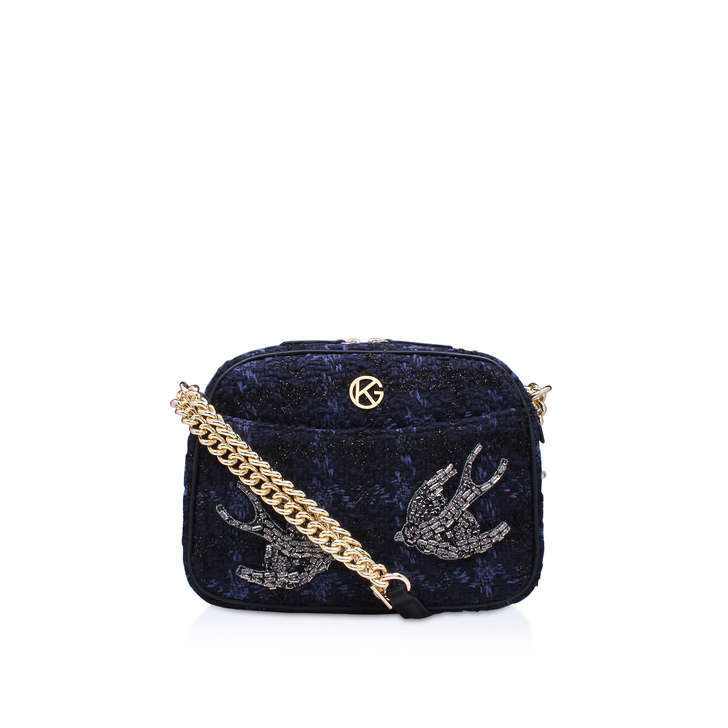 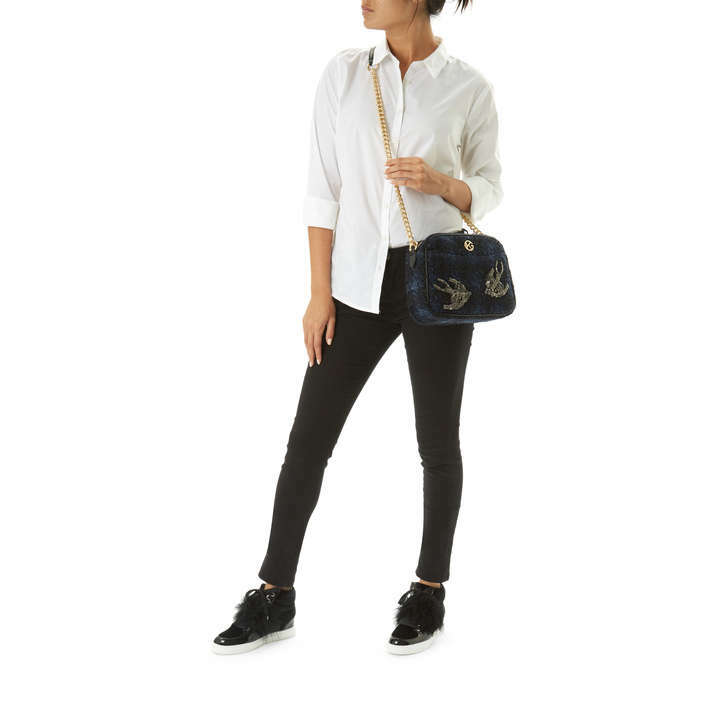 Tweed Plum Crossbody comes in a rich navy, embellished with playful bird motifs and punctuated by glam gold-tone hardware to give a statement boost to everyday looks. 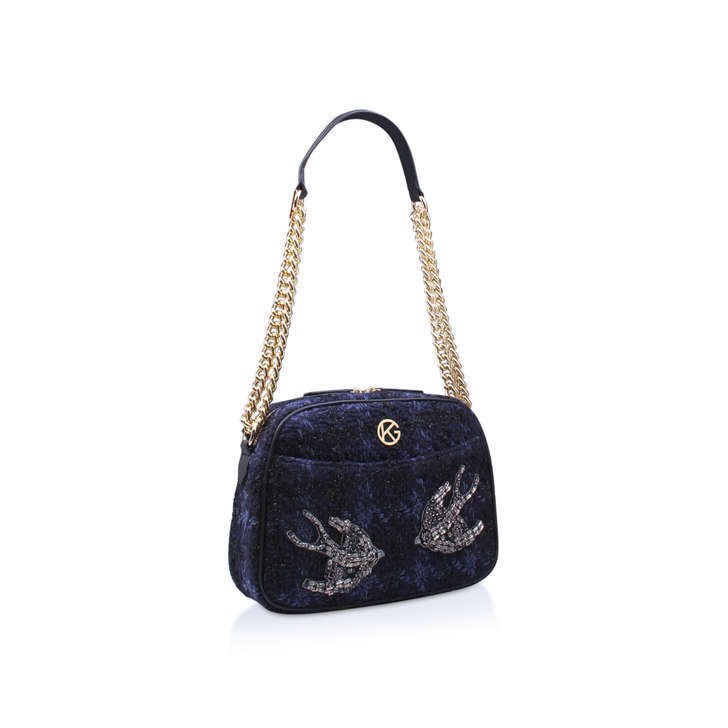 Bag Dimensions: H 20 cm x W 27 cm x D 9 cm.